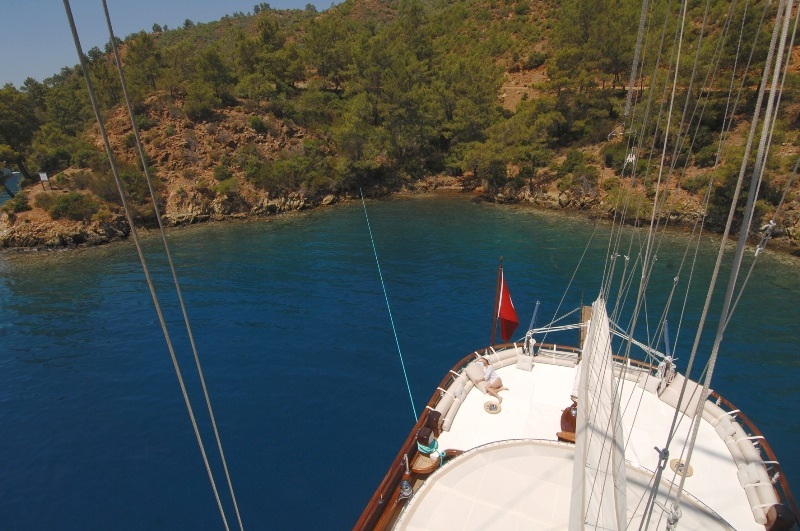 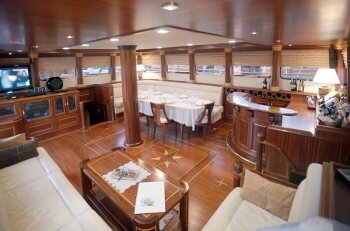 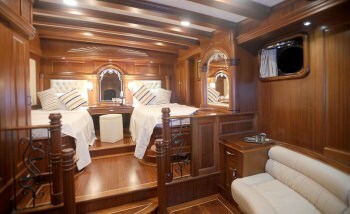 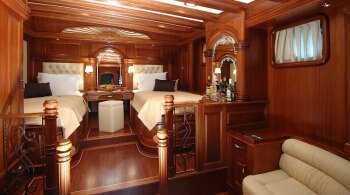 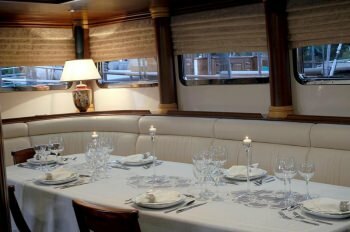 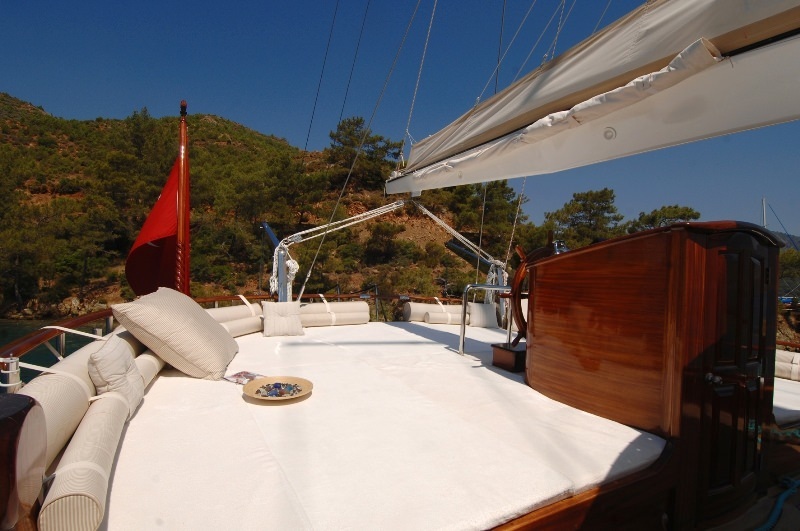 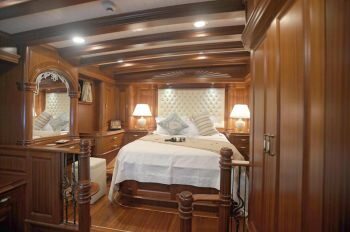 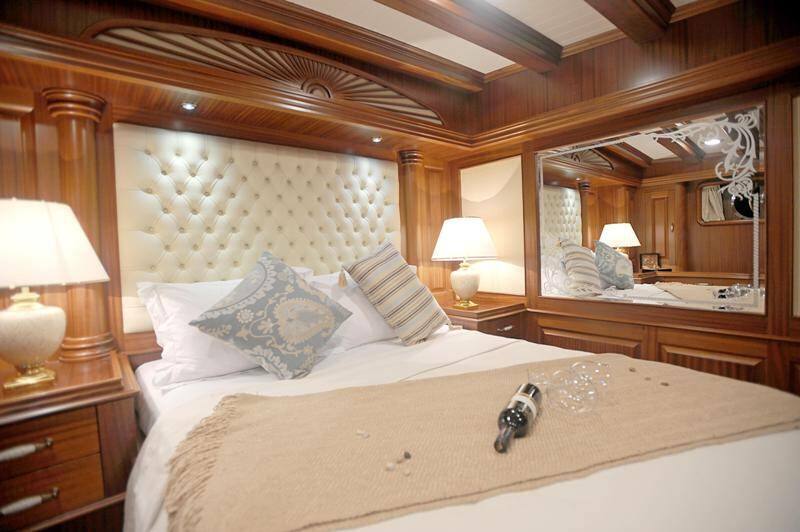 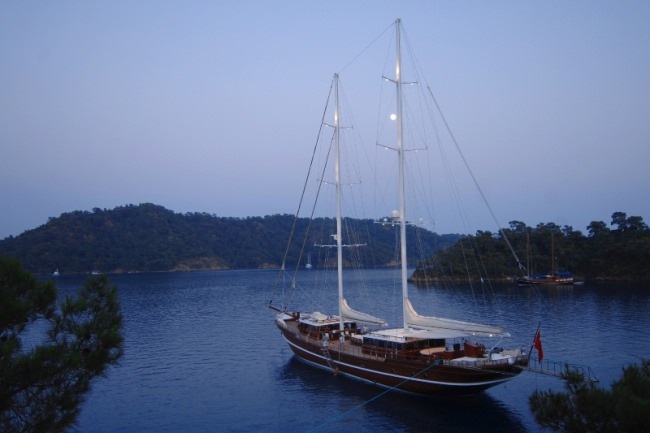 Accommodations: 6 Master cabins , 5 with king side double bed and 1 with twin single beds. 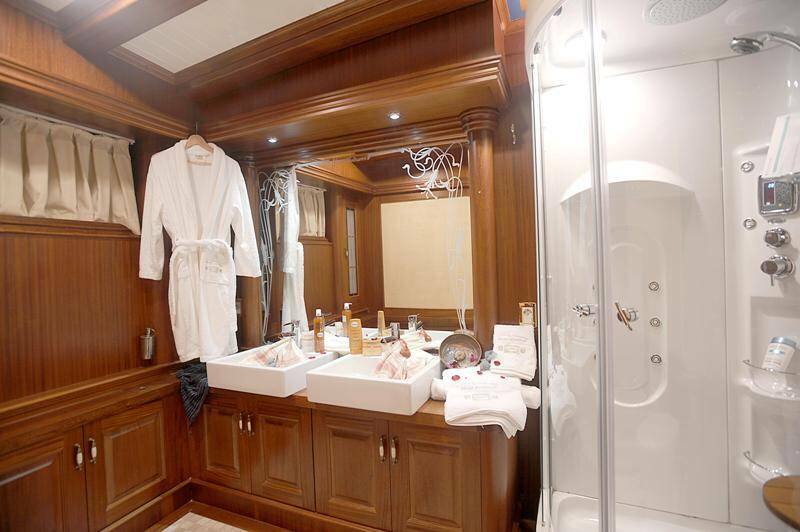 En-suite bathroom, fully air-conditioned. Huge mid-ship dining area. 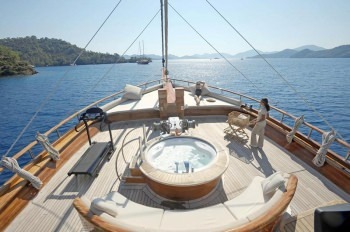 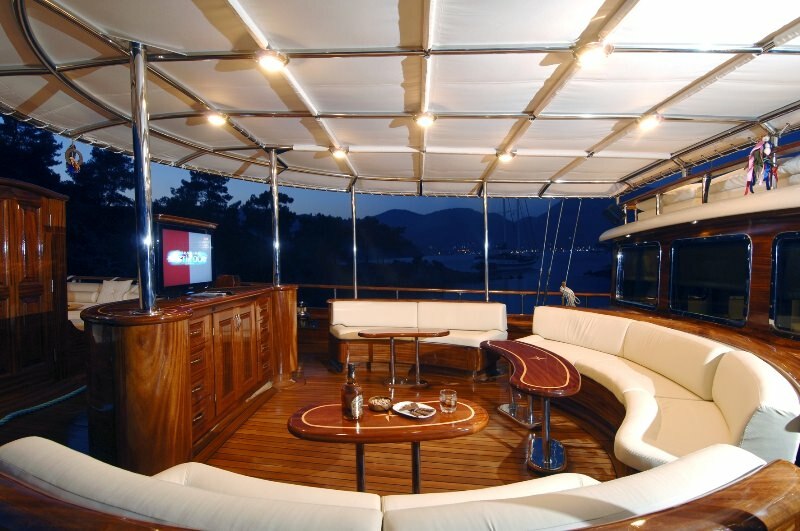 Large sun deck.